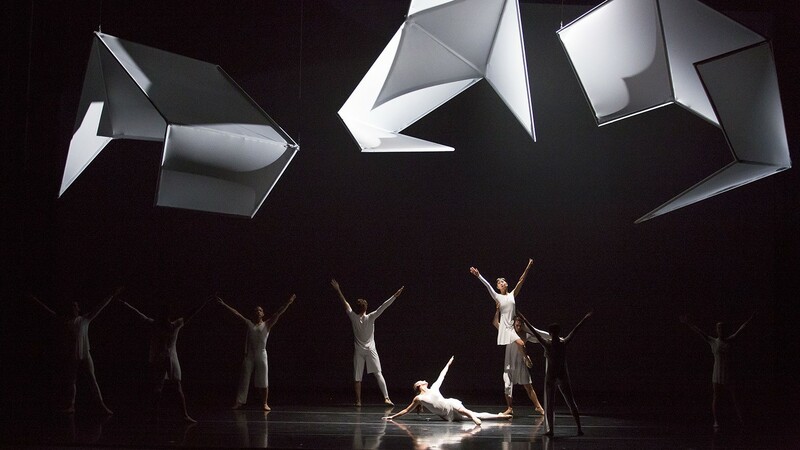 Tesseracts of Time is a collaboration between architect Steven Holl and choreographer Jessica Lang that premiered November 6th, 2015 at The Harris Theater for Music and Dance in Chicago. Learn more about Jessica Lang Dance. Both Architecture and dance share a passion for space and light in time, however they are on opposite ends of the spectrum with respect to time. 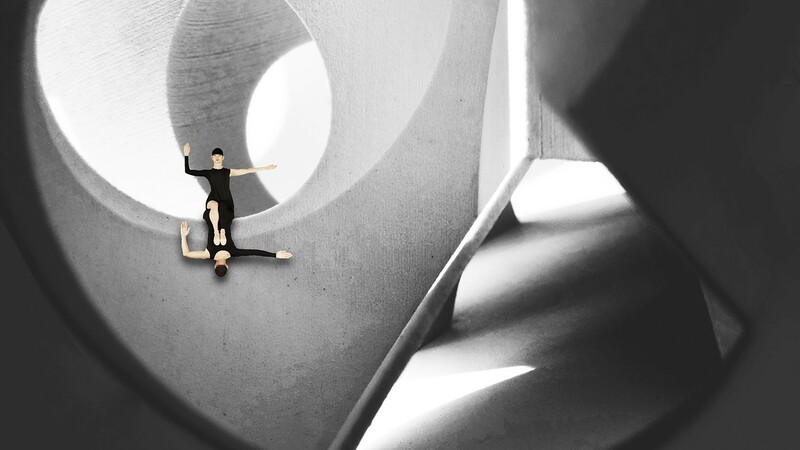 Architecture is one of the arts of longest duration, while the realization of a dance piece can be a quick process and the work disappears as the performance of it unfolds. Here the two merge. 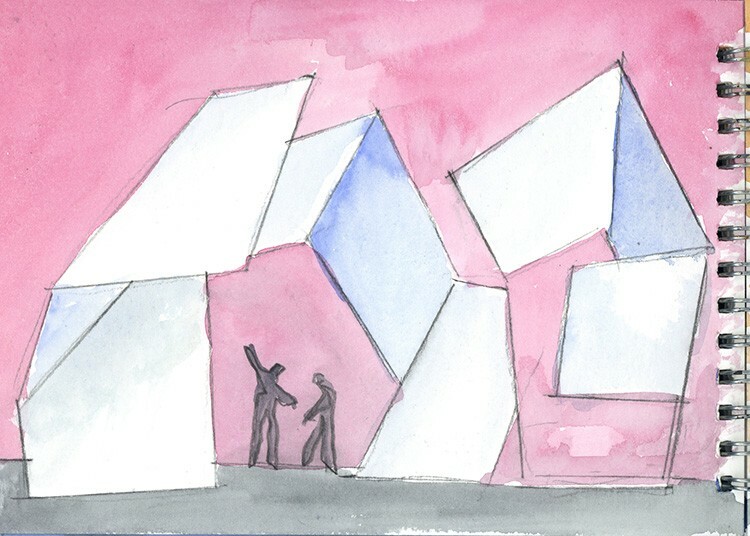 Corresponding to the four seasons, but within a twenty minute period, the collaboration between choreographer Jessica Lang and architect Steven Holl merges dance and architecture in a compression of time and space. 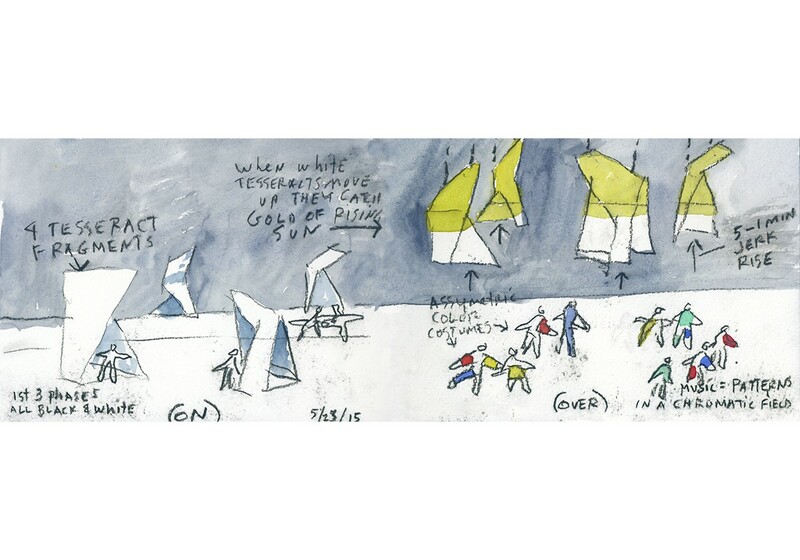 The four sections of the dance correspond to the four types of architecture: (1.) Under the ground (2.) In the ground (3.) On the ground (4.) Over the ground. The first section ‘UNDER’ begins with a slow movement of sunlight coming from above, sweeping across the curved interior spaces of the architecture. The dance physically vibrates in the dark shadows of the stage. Dancers are dressed in black geometric and angular costumes. Their movement is grounded and driven with linear thought to the percussive score Anvil Chorus by David Lang. For the second section ‘IN’, compressed spatial sequences filled in deep light are projected in film. 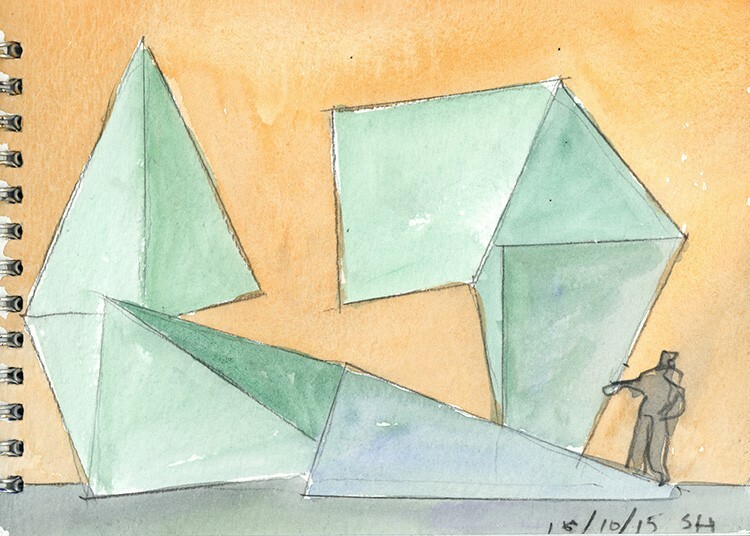 The dance movement defies gravity and explores geometry with emotional expression. Space and body in black and white work in synchrony with the minimalist piano music Patterns in a Chromatic Field by Morton Feldman. 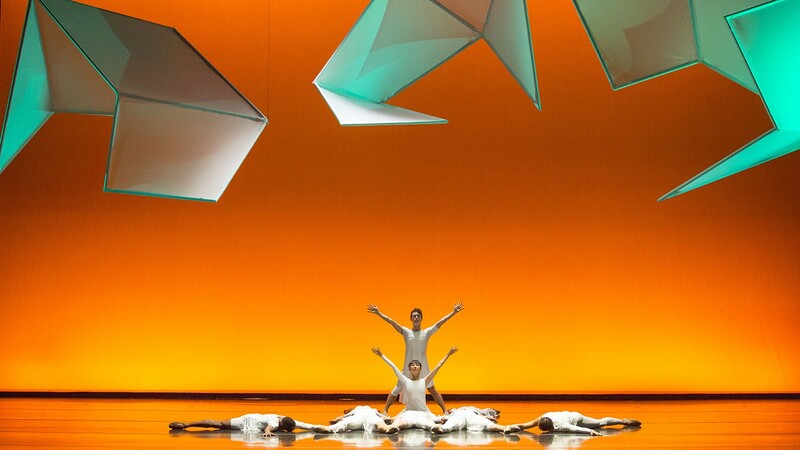 The third section ‘ON’ -all in white- reveals on stage three twelve-foot-tall Tesseract Fragments. In geometry, the tesseract is the four-dimensional analog of a cube. 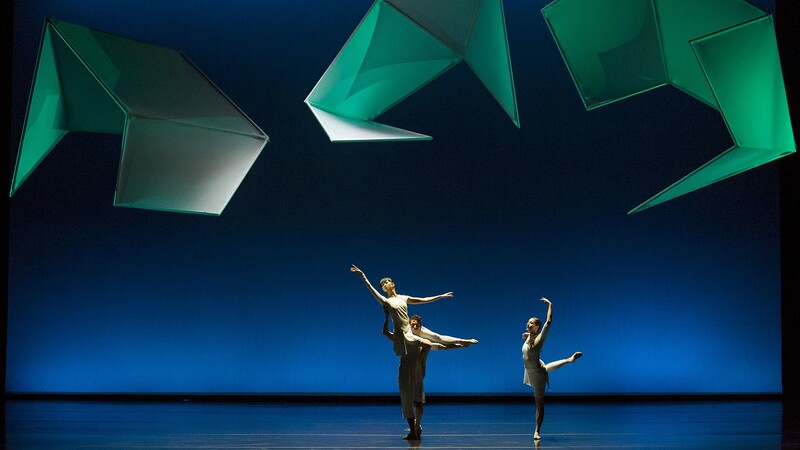 In dance, the movement explores space now present in the 3rd dimension of the stage. The music is percussive, prepared piano The Perilous Night by John Cage. The fourth section ‘OVER’, begins with the tension of sound and energy as the Tesseracts rise upwards to the music Metastaseis by Iannis Xenakis. Unlike the previous sections, bursting color floods the stage with dancers in asymmetrical colors of oranges and reds. Arvo Pärt’s Solfeggio takes shape in a synthesis of chromatic forms as the dance releases like a sunrise into intensely lyrical and hypnotic meditative phrases. Like Seasons, the ending returns to the darkness of ‘UNDER’ at the beginning. No beginning No ending. The whole piece takes a year—four seasons—but is compressed into twenty minutes. As there are 525,600 minutes in one year, this compression ratio would render an average human life as four years. 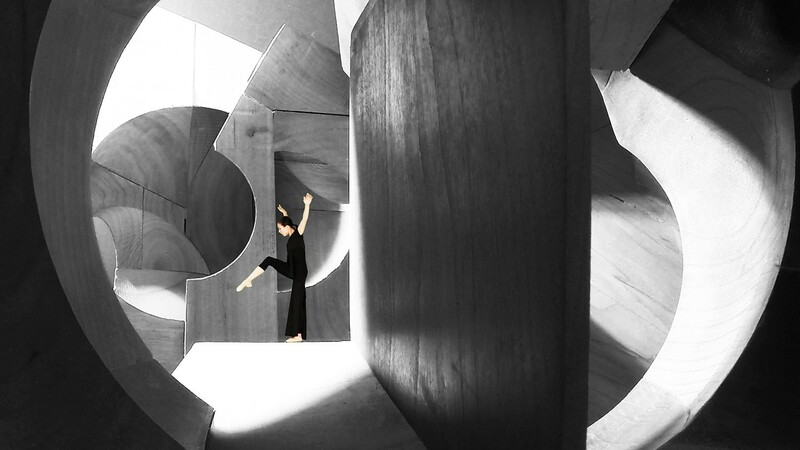 The architecture used in the dance was developed through a research project called ‘Explorations of IN’. Learn more about Explorations of IN. Watch the behind the scenes footage here. 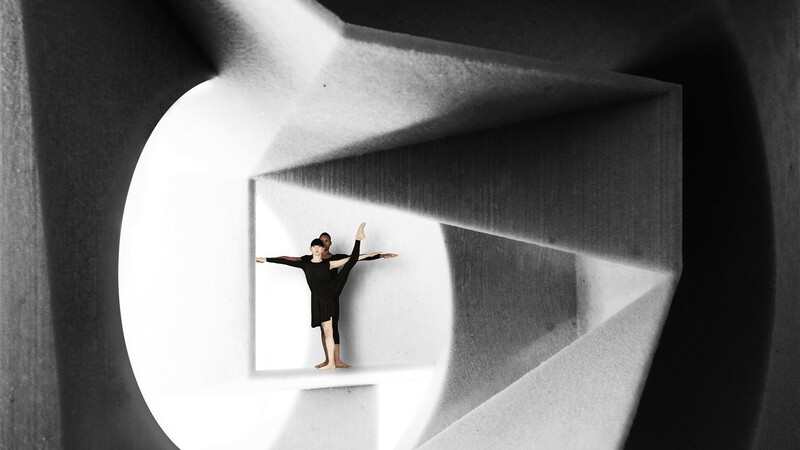 10 November 2015: "'Tesseracts of Time' Explores Time and Space Through Dance and Architecture"